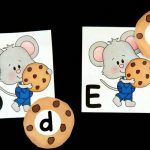 In the beginning of Kindergarten (all year, really) we explore our ABC’s a ton! 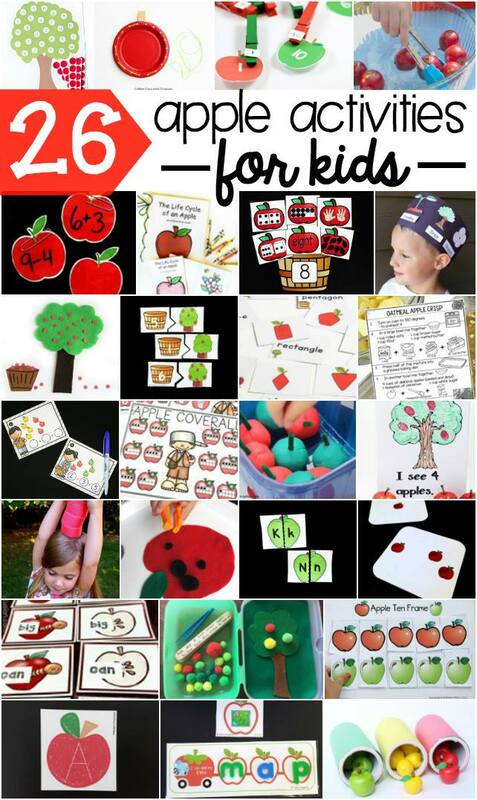 We love fun, interactive games and especially puzzles. 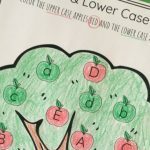 With fall just around the corner and many schools in full back to school mode, these apple alphabet puzzles are the perfect resource to add to your collection of learning activities. 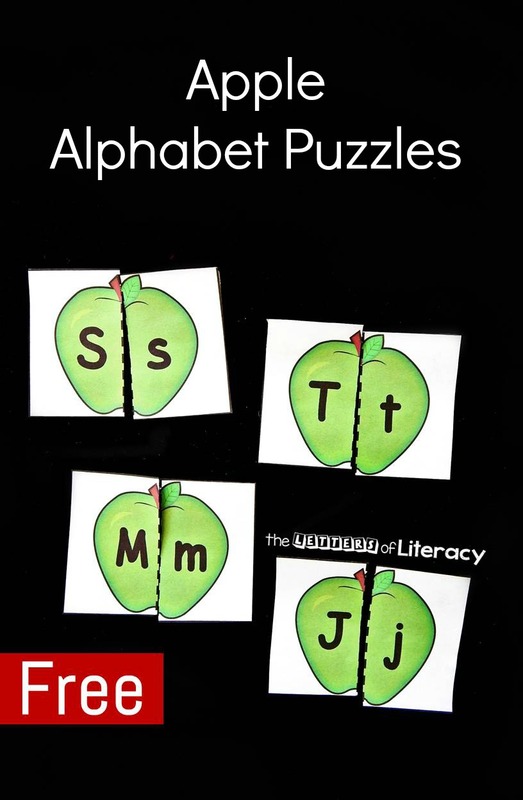 These puzzles are fairly quick and easy to prepare. 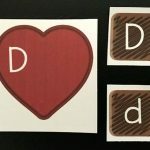 Simply print the download (below) and laminate the pages. Then, after cutting apart on the dark lines to make squares, cut each apple in half on the dotted lines to make the puzzle halves. 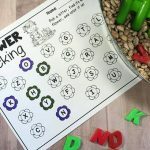 It can be a little overwhelming to start with all 26 letters, so you may want to start with just a handful, depending on your students. 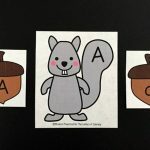 In a guided small group, we first put the uppercase letters in order from A-Z (great for working on naming letters in order), and then we take turns picking a lowercase half, naming it, and finding its match. 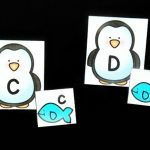 These puzzles are pretty versatile and could be used as a small group game, independent activity, flashcards, or even in a pocket chart! 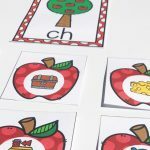 Ready for some apple themed alphabet matching fun? 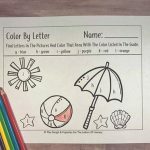 Grab your copy of the printable alphabet match by clicking the blue button below. 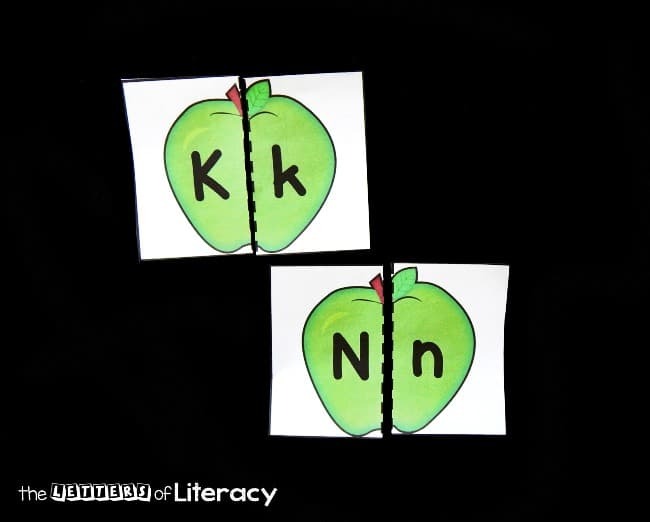 Then, for more alphabet fun grab our alphabet writing pencils or make ABC popsicle stick puzzles!